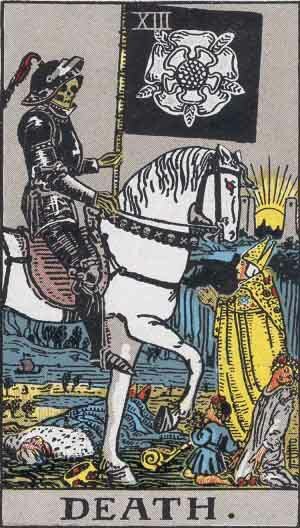 During a Tarot reading, the appearance of the Death card can strike fear in the recipient. This ghastly card makes us worry about our loved ones. It makes us fear for our lives. It makes us scared to cross the road and worry that every sneeze or headache is something sinister and life-threatening. Despite our concerns, in reality, the Death card should not be feared. This card isn’t about the end of life, it’s about a new beginning, a fresh start, a physical transformation, a spiritual awakening, or an exciting new venture. This is a card that should inspire and encourage rather than threaten and terrify. This card is often symbolic of the death of a particular period of your life. If you’ve been going through a rough patch, this could be a sign that positive changes are ahead. The Death card could technically indicate the end of a good aspect of your life but that doesn’t necessarily mean the road ahead is going to be a rocky one. Instead, think of this as a change of direction. Perhaps you’ll venture down a brand new path that reaps even better results than the one you’re currently pursuing. Maybe you’ll leave your current job and find a better one or perhaps you’ll spend less time with your current friends and build even stronger relationships with others. Remember, although you can’t always control what happens to you, you can control how you react to a situation. Are you able to transform a negative into a positive and come out stronger than ever? If you’ve been thinking of starting a new hobby or learning a valuable skill, the appearance of the Death card could be a sign it’s time to jump straight in and get creative. Learn to play the guitar, start painting portraits of your loved ones, or teach yourself a new language. New hobbies and adventures will enrich your life, improve your wellbeing, and emit positive vibrations that attract the attention of others. By unleashing your creativity and making something new, you could open some exciting new doors for yourself. Whether a relationship is draining your energy and happiness or you’re stuck in a job that makes you miserable, the emergence of the Death card could give you the push you need to make a change and start afresh. Perhaps it’s time to update your CV and practise your interview skills or maybe it’s time to delete your ex’s number from your phone. The Death card won’t tell you what to do, but it will hopefully inspire you to take control of your own destiny and make a change. 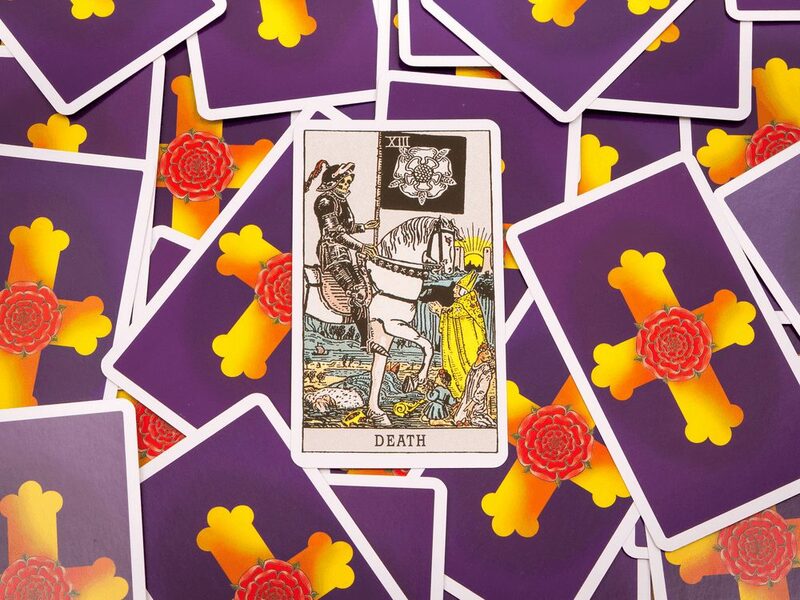 Although the Death card is the most feared and misunderstood Tarot card in the whole deck, there’s no need to be quaking in your boots at the very sight of it. Instead, it’s time to celebrate and get excited for the road ahead. Relax and look to the future, safe in the knowledge that the world is your oyster and you’re in control of your own destiny.